It may look like a modern take on Oliver Twist but, we assure you, this is for real. Before you get too alarmed, however, you should note that the headline reads "how to steal cars" and not simply "to steal cars." We are, after all, dealing with the fine people at Machine Project, a Los Angeles-based non-profit community space organized around the investigation of "art, technology, natural history, science, music, literature, and food." 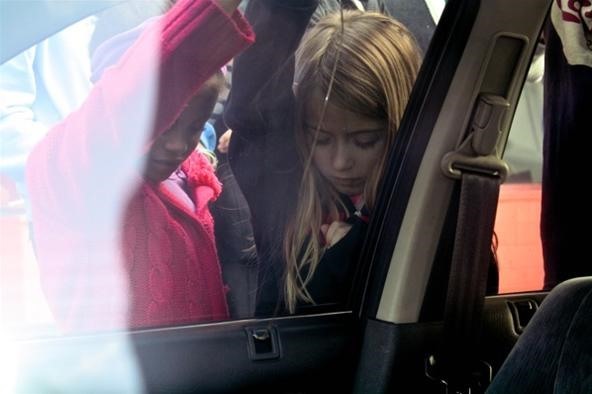 My friend Mark Frauenfelder and I took our kids to a class on car theft this weekend. Part of Machine Project's new series entitled Good People Doing Bad Things, it was absolutely wonderful. Instructors Tom Jennings and Jason Torchinsky should be either thrown in jail or made into heroes of the people. For most kids (and adults), modern cars are simply these gleaming, aggressive-faced jellybeans that house air-conditioning units and MP3 players while they idle in traffic. But underneath their shiny surface lurks all manner of exciting machinery that needs some demystification. That's where we come in. In this class, we just focus on a few key aspects of cars, and our interactions with them, while learning a bit about the physics and mechanics behind how it all works. Breaking in! 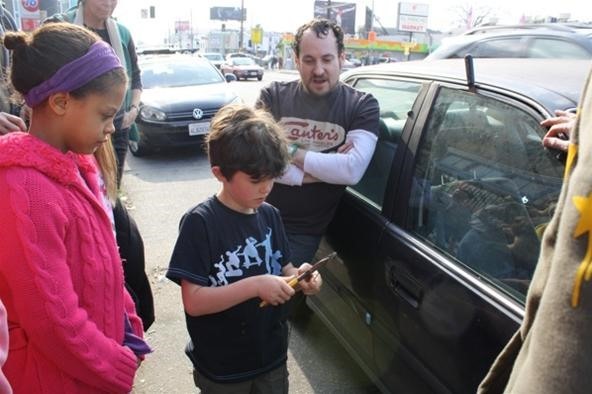 How to break into a car, and how car locks work - including exciting door-panel removal. Breaking out! How to escape from a locked car trunk. Each student will have a chance to learn and perform this exciting feat. Breaking... the law! 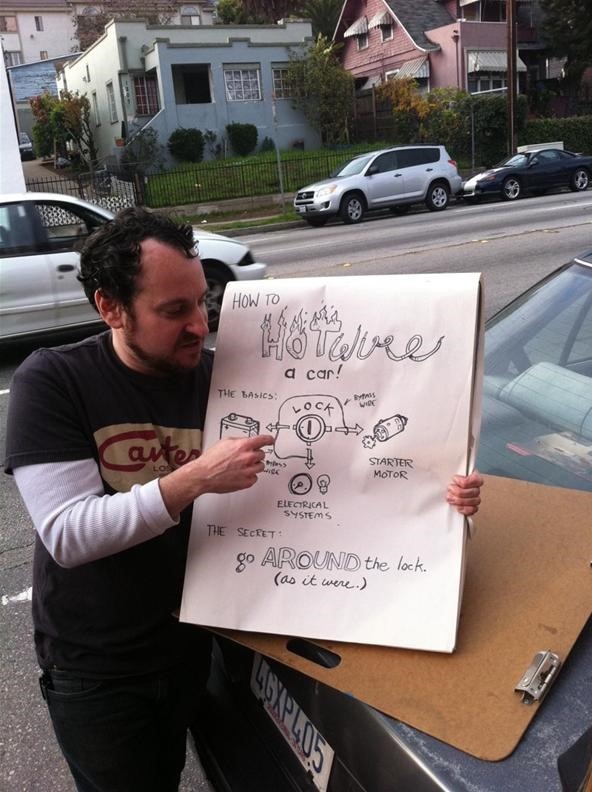 How to hotwire and start a car with some simple tools. 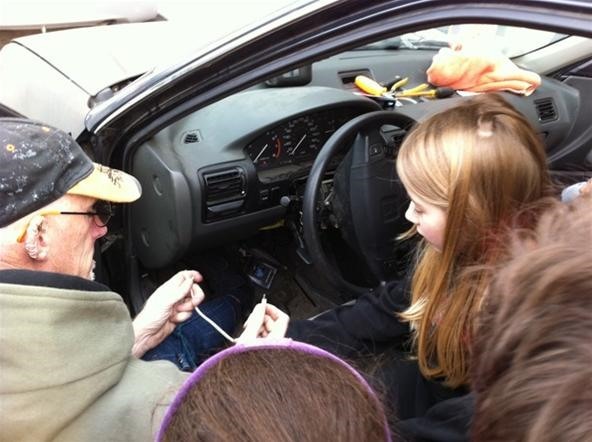 This is a hands-on class, with an actual car to break in and out of. I wanto to take this class. but what is the purpose ?